Wanted to make sure you know that I take the safety of your computer and its health very seriously. 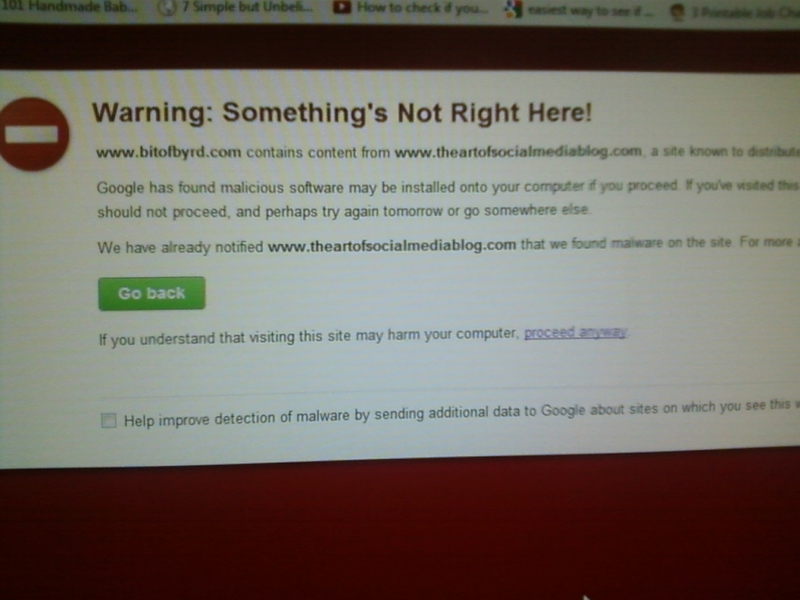 I received a message from one of my bffs who is a reader letting me know there was a warning when visiting my site. The warning was being caused from a link to another blog. 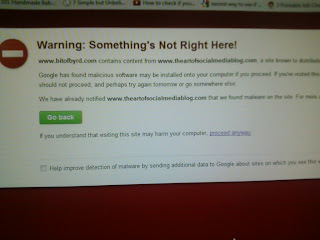 That blog was being targeted or affected my maleware and that is why my readers were also being warned. If you ever see this occur please screen shot it and reach out to me via email at bitofbyrd(dot)com so I can remove the link and get it resolved. My site is now without that link and the warning is gone. If you did view the site during those times no fear... you would have only been potentially further affected if you actually went to the affected site. The link to that site was previously in the "Check These Out" links at the bottom left of the page. Didnt go there? Then you're in the clear. I apologize for any concern this might have caused you.